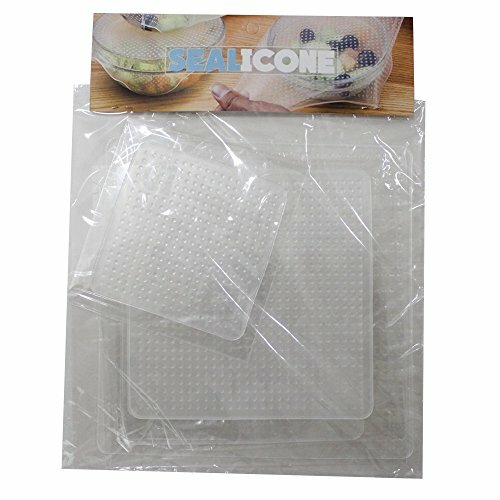 Stretchy Silicone Food Covers - Moar Stuff - You don't need it but you know you want it. 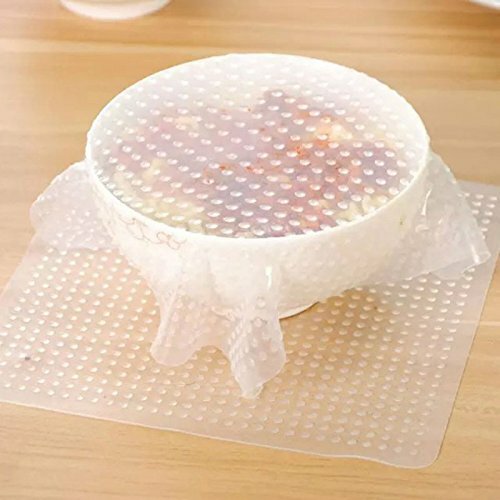 Save hundreds of dollars a year never buying disposable food wrap ever again! 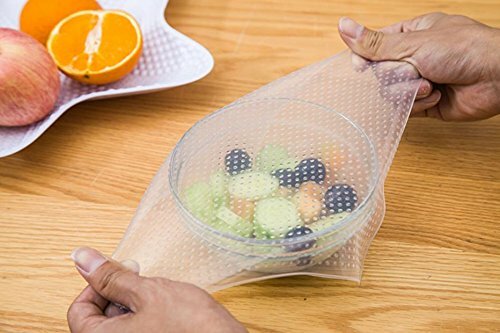 These Stretchy Silicone Food Covers can save you some cash because you won’t need to by disposable plastic wrap anymore. 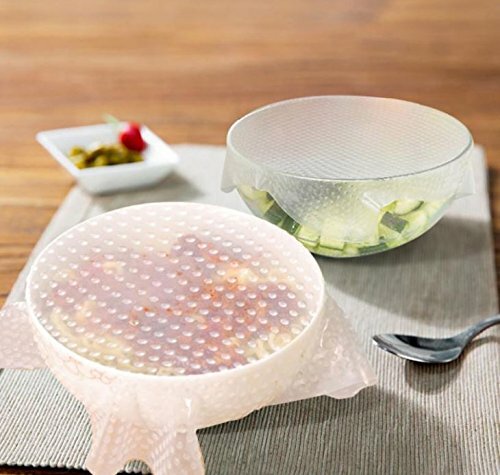 These covers allow you to quickly & easily cover plates & bowls of food. Just stretch a cover over the dish & allow it to snap securely in place. 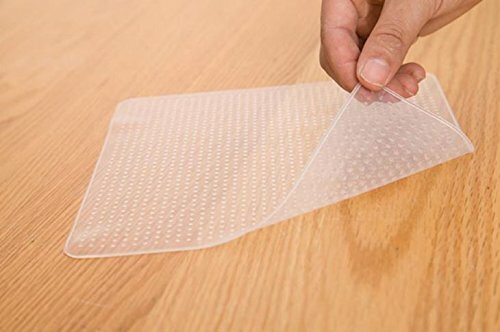 The silicone will stick to most clean and smooth surfaces (it works particularly well on glass or ceramic). You can even use them in the microwave, just make sure you leave a bit of room for the steam to vent. Otherwise, it blows up like a balloon and makes a huge mess. Sounds awesome, right? Not the blowing up like a balloon part… err, actually that sounds awesome too but, I was referring to how handy these covers are. Well, there are a few downsides. First, the wraps are really good at sticking to each other so, make sure you take that into account when storing them. 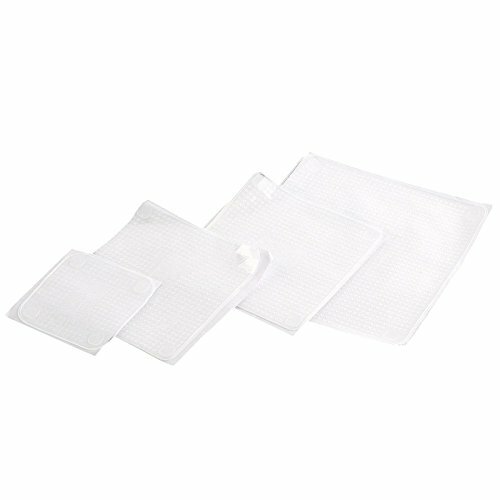 Also, since they are soft silicone, they can be torn fairly easily. This is especially true if you use them as a lid for an opened tin can (which tend to have sharp edges). However, if you’re careful with them, they’re great for food storage or even to replace lost lids on your Tupperware-type containers. Every kitchen should have some. Bundle includes 1 large 8×8 inch wrap, 2 medium 6×6 inch wraps, and 1 small 4×4 inch wrap. Made of food grade silicone. BPA free.